If you are looking to add style, security or a sense of privacy to your property then you need not look anywhere else, Richy’s fencing in Ashfield are you team of specialists that will get the job done – correct, on time and within your budget, every time. We offer any type of fencing that you may desire, such as timber, picket, aluminium, colorbond, as well as refined walls and security gates. Some of our most popular fencing choices from our customers are colorbond fencing and our custom made aluminium fencing. Both these types of fencing are not just constructed to look good but also offer a great sense of security and privacy for you and your family. If it is security you are after then why not take a look at our various gates we have to offer at our Gallery. These are perfect for the peace of mind you need when wanting to secure your home and include a sense of privacy. Maybe you are fine with security and privacy and would rather have a good old fashioned tradition timber picket fence; we are also able to accommodate for your needs. Take a look at some of the range of timber fencing we have provided for some of our valued customers over the last 10+ years we have been in service. Some of these types can also accommodate for any security needs you may want when choosing your fence. We don’t just provide fencing for around your house, but also for your pool! Keeping your pool safe from any unwanted visitors, we offer fencing such as aluminium and glass which are made to the required Australian Standards so they keep your pool safe while adding a wonderful looking addition to your back garden. 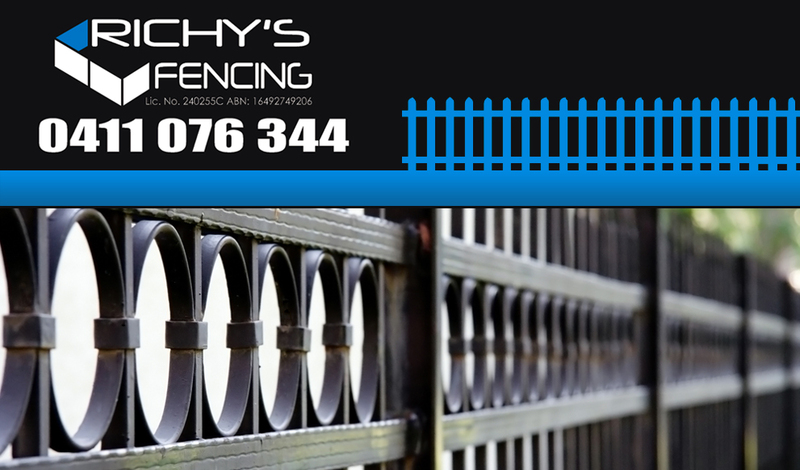 Call now and speak to Richy about fencing in Ashfield and receive your free quote today!